The post today starts with a story that seems out of a movie. 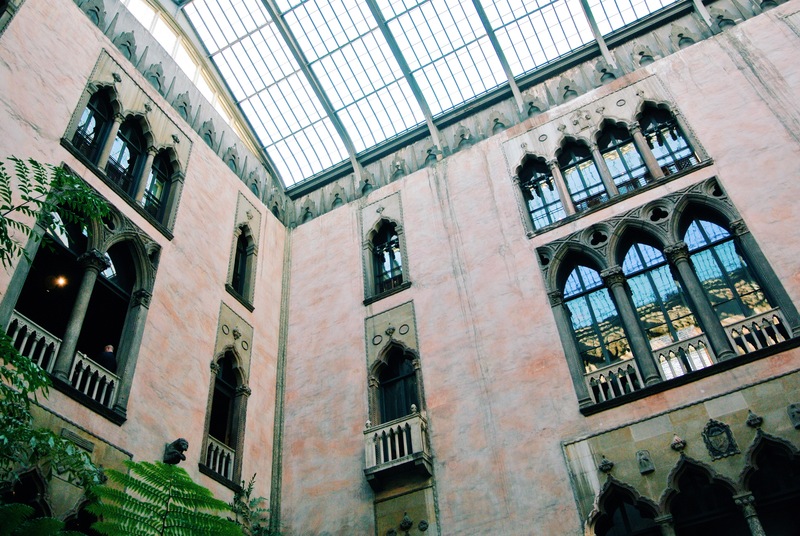 Here in Boston we have the Isabella Stewart Gardner Museum. Gardner had an impressive art collection at her house, and decided to leave it for the public’s “education and enjoyment forever” in the form of a museum. But in 1990 there was theft at the museum where several invaluable paintings were robbed. A couple of Rembrandt’s amongst them. To this day you can walk into the museum and see the frames where the paintings used to be. Even though some say that is because Gardner stipulated in her will that nothing was to be changed in her house, the Museum holds hope that the paintings will someday return to their rightful home. I do too to be honest. I went there last week with my friend Ma for an event called Third Thursdays, it happens every month and this time they collaborated with a jazz band from Roxbury. 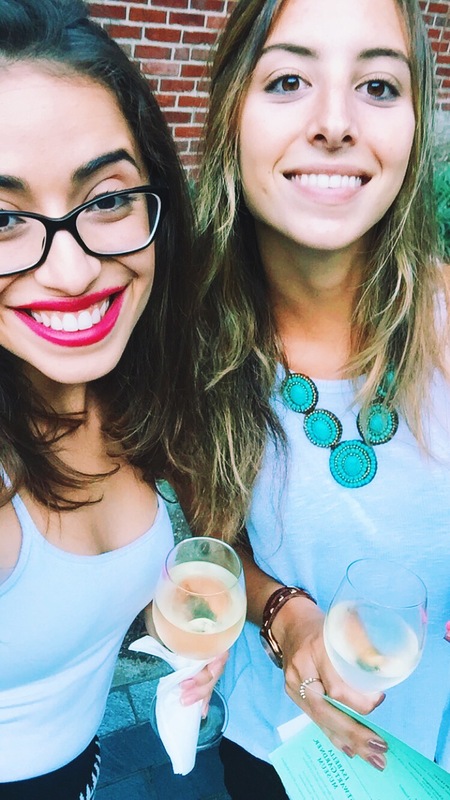 Even though we both love museums, the main attractive was the champagne by the courtyard promise, not gonna lie. The gardens and courtyard of this museum are beautiful, filled with works of art. 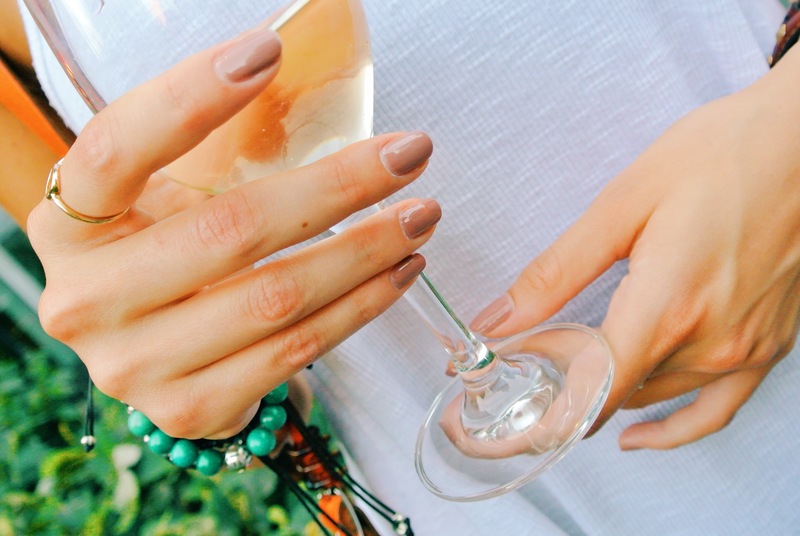 It has that chic yet intellectual vibe that Boston oozes in these type of events – we are turning into grown ups people! Isn’t Ma’s necklace amazing?! It’s also super unique, she bought it in the streets of Santorini when she was there last year. 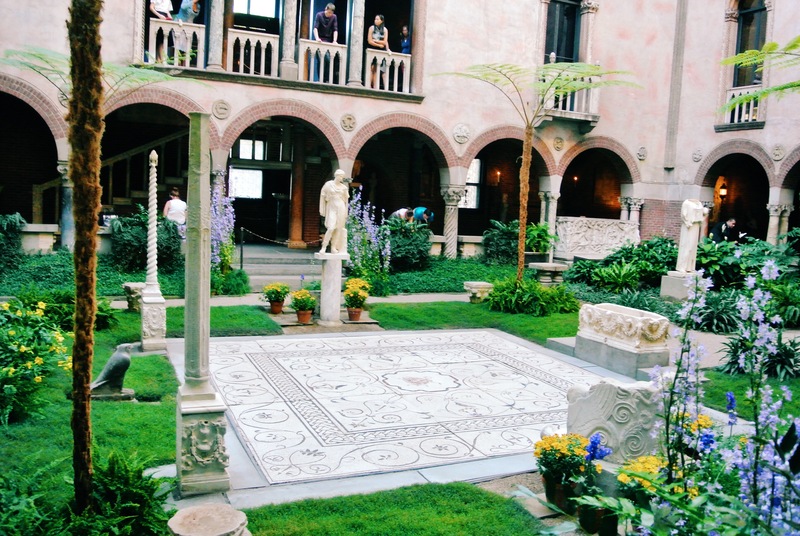 The Gardner Museum is definitely worth a visit – even for college students like myself – because the house itself is a work of art! I love massive jewelry very much. 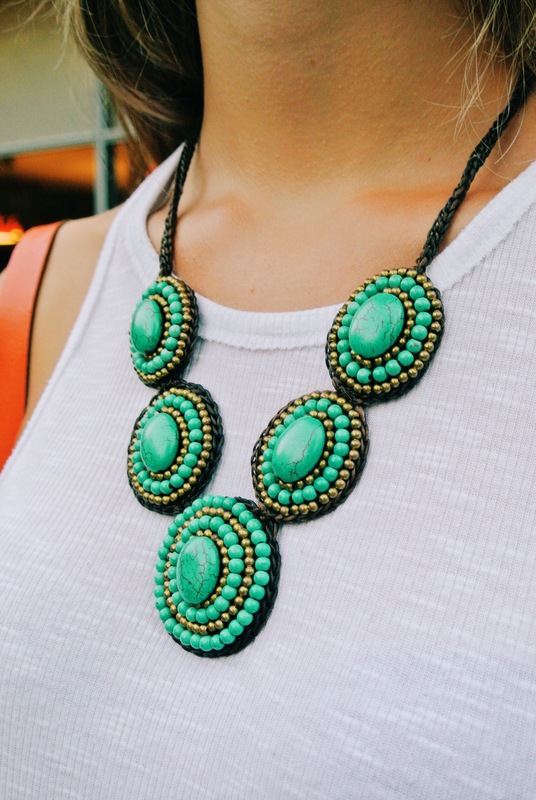 This necklace is gorgeous! 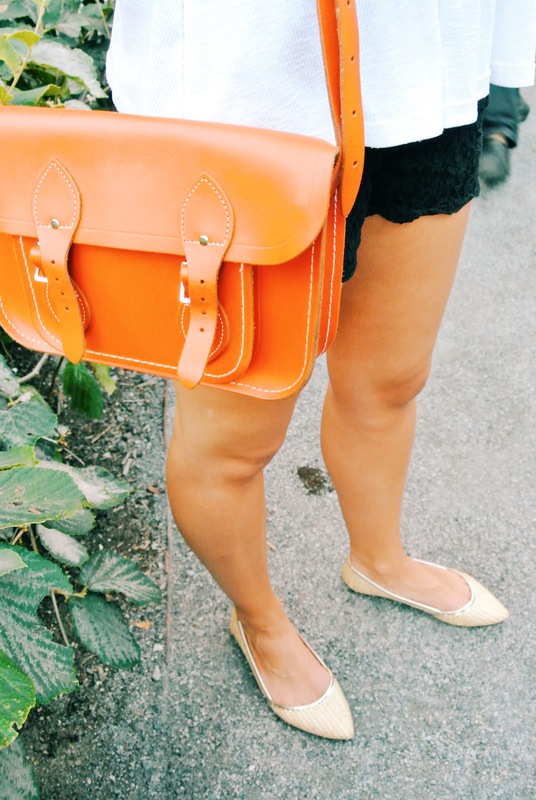 Thank you, I loved your blog! Nothing wrong with bubbles and art, teehee!